Why stop playing ball? 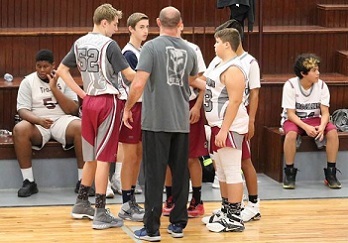 Jenks Trojan Hoops will be offered in the spring and summer so children can continue developing their basketball skills, enjoying team play and having fun. Games are played in April, May and June. All practices and games are held in Jenks gyms. For more information, please contact Coordinator Will Finfrock at jenkstrojanhoops@gmail.com or click here.